We are all living longer and apart from employer sponsored schemes, very few people are saving for their old age. This is a huge political problem. Previous Governments tried to solve it by introducing the concept of Stakeholder pensions which had low costs. However, this initiative failed because the employer was not required to make a contribution. 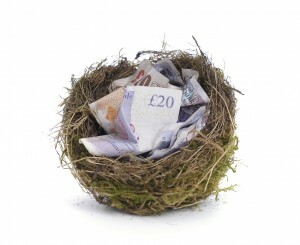 A new simple, low cost pension scheme, NEST (National Employment Savings Trust). NEST operates like any other trust based, multi-employer defined contribution occupational pension scheme, but it will be focussed on a target audience of low to moderate earners. 1 If you already offer all your staff a pension arrangement, this can be a Defined Benefit,(Final Salary) Defined Contribution (Money Purchase) or Group Personal Pension, you will need to ensure that the eligibility rules are changed to allow automatic entry and you will need professional help to check the scheme to make sure that it meets the legal requirements. 3 Even if you do offer your own scheme to the majority of your workforce you may wish to consider using NEST for new joiners or seasonal workers. Whichever choice you make setting up a qualifying scheme will cost you money and you need to get value for the expenditure. You will be helping your employees save for their retirement so it is important that you effectively communicate the benefits of the scheme which you put in place. You will need help in making these decisions. we would strongly recommend that you take advice from specialist advisers who work on a fee basis and therefore have no bias towards a particular outcome. Nicholls Stevens have been offering advice to employers on workplace schemes for over 25 years. The total minimum contribution to all retirement savings accounts will have to equal 8% of qualifying earnings. Of this 8%, the employer will have to contribute a minimum of 3%. Employees will be able to opt out of the workplace pension scheme their employer has provided if they choose. They will be automatically re-enrolled ever three years.